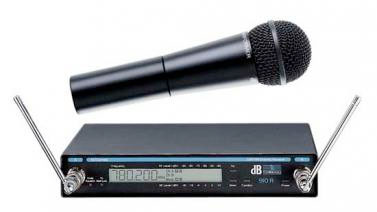 The industry standard professional highly versatile dynamic vocal microphone. You can put this microphone in front of the most demanding vocalist and they will be more than happy! Superb quality vocal mic with superb vocal range with a tight cardioid pick up and is therefore less susceptible to feedback in high volume. Complete with 1 x pair of AAA Batteries Range between transmitter and receiver can exceed 50m in a open space. Perfect when you need to keep your hands free whilst amplifiing speech. Range between transmitter and receiver can exceed 50m in a open space. Headset includes belt pack transmitter and receiver. Range between transmitter and receiver can exceed 50m in a open space.